R & R... No Relaxing or Rest for Canada's Newest ecoFinish Installer! Canada Pool Coating is pleased to announce our Newest Canadian ecoFinish Installer! Rod Tanner, owner of R & R Concrete Finishing B.C. Ltd is the Thompson Okanagan Region's Certified and trained ecoFinish installer in Beautiful British Columbia. Rod has over 19 years of experience in the concrete industry. This father and son team provide all types of concrete work; they have joined the ecoFinish family of installers here in Canada and will expand their expertise to include designing and building swimming pools. Rod's first project went swimmingly! Custom new build concrete. Rod's team is very excited to offer their ecoFinish services in the Okanagan Valley. ecoFinish. Proven worldwide. Perfect for Canadian Winters. R & R provides Residential and Commercial clients a better finish for new build and renovations. ecoFinish is designed for concrete, plaster/marbelite, steel, aluminum and composite panel construction...And, ecoFinish can transform your tired old fiberglass pools too! Restored to like-new condition and done right in place. Looking for a better finish? Give R and R a call! Epoxy applied to the concrete pool substrate; Flock coat follows. Finally, there is such a thing as a worry free finish. See what all the best pools are wearing this season... ecoFinish! The Greater Ottawa Area's Newest ecoFinish Partner and Certified ecoFinish Installer! Benson Pools. Your dream backyard – now an ecoFinish possibility! After 62 plus years in the pool industry, you can understand why Benson Pools has a solid reputation for hard work and good business ethics and why they have long-lasting relationships with many clients in the Greater Ottawa Region. Benson’s clients include the Prime Minister’s residence at 24 Sussex, numerous NHL players and many of the City of Ottawa structures. Benson Pools build pools from concept and design to complete construction. Benson’s also specializes in refurbishing previously built pools and renovating existing pool structures that will bring your backyard back to life! Pool coping, ceramic tile and plaster work are old-world skills - Benson’s specialty. If your pool is crying out for a touch-up or a complete restoration, the pool repair specialists at Benson’s make your pool transform from ugly to beautiful. Jeff Benson, Owner and President of Benson Pools, watched the revolutionary process of ecoFinish’s thermoplastic spray finishes grow into a recognized brand in the pool industry; he followed the growth of ecoFinish, recognizing its potential as a lower carbon footprint alternative to pool plaster and paint. Benson Pools history centers on offering excellent customer service, exceptional designs and quality work for both residential and commercial pool projects. ecoFinish is a natural progression for Benson’s and Jeff is excited to expand his service offerings to help clients with a choice of finishes other than plaster for new build projects. In addition, this a finish that will transform worn plaster and older concrete pools into something to be proud of once again. ecoFinish has zero VOC’s and is an ecofriendly option in that the installation process requires only a two person crew to install ecoFinish. Best of all, ecoFinish cures instantly so your pool can be filled immediately or left to fill gradually with a garden hose. ecoFinish transforms fiberglass pools, spas and steps. If your fiberglass pool, spa or stairs experiences a gel-coat failure or is looking pretty tired, ecoFinish is designed to restore these to like-new condition. Best of all, the renovation process is done in place - with ecoFinish there is no need for costly replacements. Love/Hate Relationship with Vinyl Liners? If your love for your vinyl liner has faded, ecoFinish can be installed to inground steel panel walls and concrete bottom instead of a liner. Soft to the touch and hard wearing ecoFinish gives your pool a designer look and feel with 21 different colours to choose from! The fact that Benson’s can offer a high performance worry free finish for new build pools or help transform an older pool made sense to Jeff. ecoFinish is a great fit and Benson’s is proud to be the newest Certified ecoFinish installer in the Greater Ottawa Region. Benson Pools. Dependability you can rely on. 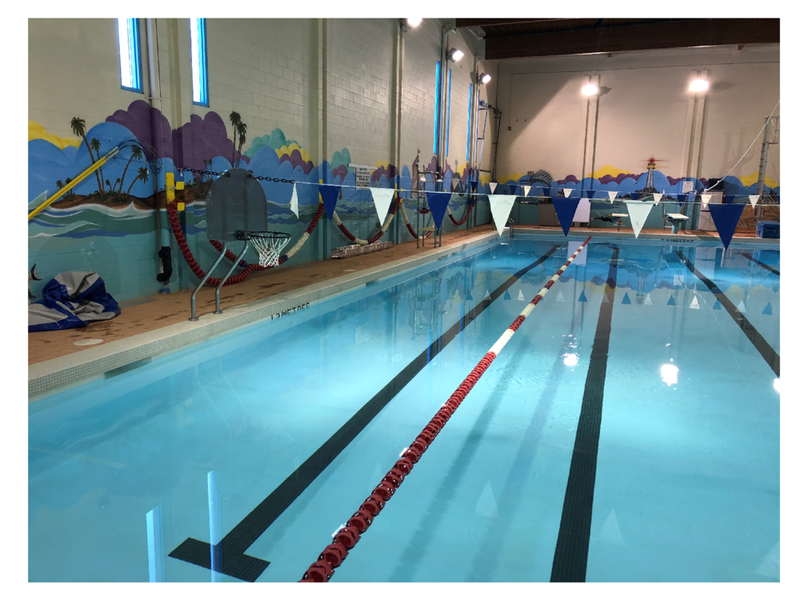 Vinyl Masters and aquaBright by ecoFinish Breathes New Life Into a Vintage Hybrid Swimming Pool! Imagine a client asking you to assist them with an older pool in need of repair...one with corrugated stainless steel walls!! Yes, you read that right CORRUGATED metal walls, not to mention that this early hybrid also has a unique aluminum coping system and concrete sloped sides and bottom. 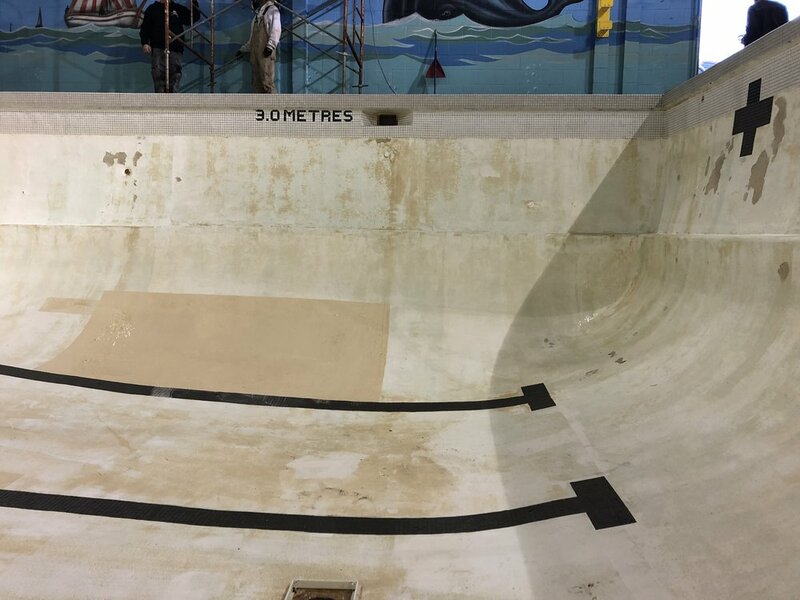 This pool was in such desperate need of repair it was suggested that a new pool be constructed inside of the old shell...then Complete Spa and Pool Owner Paul Swirski, remembered another pool refinishing option: aquaBright by ecoFinish. Enter Vinyl Masters to the rescue. Certified and trained ecoFinish installers transform the rundown hybrid swimming pool nightmare into a beautiful, user-friendly backyard retreat once again. Nice work Vinyl Masters! Short turnaround + ecoFinish = great pool + Happy clients. Simple! The Lowry’s reside in beautiful Porter's Lake on the Eastern Shore of Nova Scotia for the last 22 years. In that time they have grown their pool business throughout the Halifax Regional Municipality and Nova Scotia. Joann is the retail, sales and marketing specialist for Lowry’s Pool Service Plus. She knows how to keep the office, projects and timelines (and James) running very smoothly behind the scenes! James is front and center for their pool business. His 25+ years of pool expertise combined with a strong background in construction, excavation, drainage and concrete knowledge gives him industry insight and a complete understanding of what your swimming pool project will require... from start to finish. James is the guy you want in your backyard. Hybrid Pools with steel panel walls, fiberglass steps and concrete floors are perfect ecoFinish substrates! Lowry's Pool Service Plus recently expanded their pool offerings and are now Authorized Panasonic Dealers for quality energy star rated ductless split heat pumps for the home. Fall 2014: Newest ecoFinish Partners for the Canadian Atlantic Provinces! If you currently live in the Atlantic Provinces and would like to know more about ecoFinish high performance pool finishes for new builds or renovations please contact us today. Pool Installation in the Fall? The seasons in Nova Scotia can seem short. Lengthen your 2015 swimming season by planning ahead now. Consider a Fall installation. 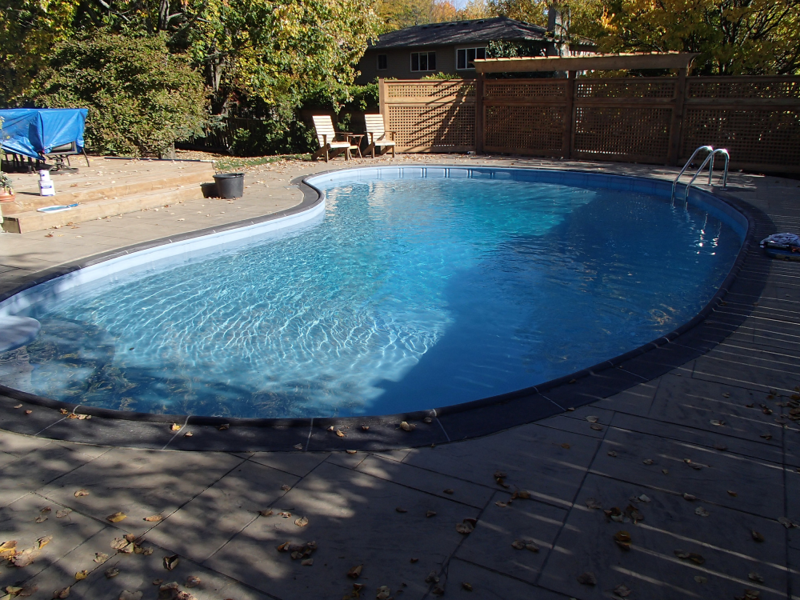 Your pool can be installed and winterized…and it will be ready to start a full season in spring with no delays! Proud Member: Pool and Hot Tub Council of Canada. ecoFinish Now Available In Alberta! Welcome Our Newest ecoFinish Partner and Installer! Ultimate Spas is pleased to offer their clients aquaBright pool finish powered by ecoFinish. Sheldon Unreiner and the Ulitimate Spas team now offer aquaBright for hot tub and spa resurfacing, new build swimming pool projects and restoration and repair of pools and spas. Contact Sheldon Unreiner today to find out more about aquaBright finishes. See what all the best pools & spas are wearing in Alberta this season! Vinyl Masters fiberglass stair restoration shown here...now you can restore aging steps in place! Vinyl Masters started business as a mobile repair service provider for various vinyl products. They soon realized there was a huge potential market for the swimming pool industry and began to focus their skills and expertise on repairing vinyl pool liners. Over the past twenty years, VM continued to expand their service offerings and today, they are proud to be recognized as the industry leader for resolving problems specific to vinyl pool liners. 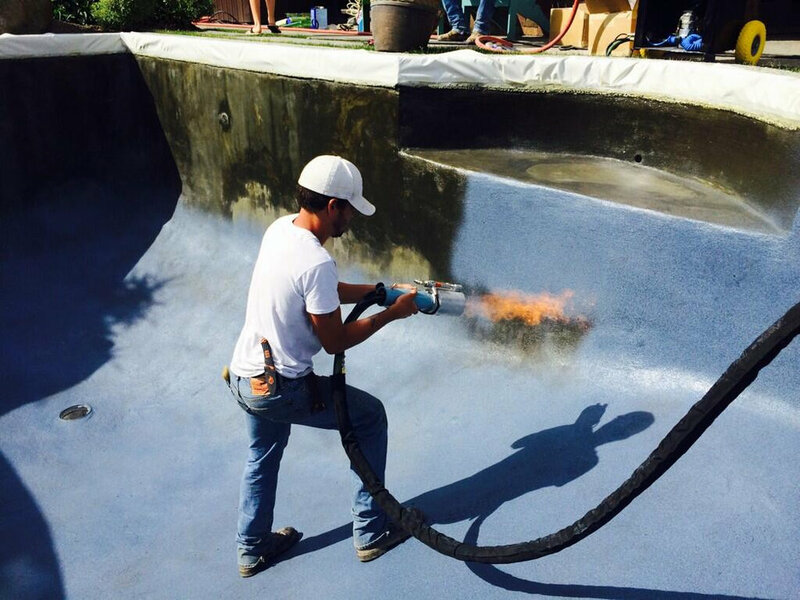 One of their strengths...VM specializes in on-site vinyl custom welding for swimming pools. Vinyl Masters is the Authorized Warranty Representative for eight major pool liner manufacturers and, works closely with many pool dealers and homeowners to address any vinyl liner pool issues. Manufacturers, Pool Dealers and homeowners ask VM to assist with repair and refurbishment of fiberglass and acrylic stairs due to the fact they are beginning to show signs of use and age. For years, Vinyl Masters searched for the best products that offered a solution to restoring fiberglass stairs. This year, VM discovered a revolutionary technology- aquaBright by ecoFinish- a pneumatically applied finish that looks great and enables VM to restore the stairs without removal. aquaBright was developed by ecoFinish as a 100% ecofriendly swimming pool finish solution and... the answer to fixing unsightly aging fibreglass stairs in place. Vinyl Masters Inc. is proud to offer ecoFinish as our premium fibreglass stair and spa solution for the Vinyl liner swimming pool industry.